The Ranger Dual TIR LED Emergency Light has been one of our most popular lights for years because it's a favorite of first responders: Police, EMS, and Fire Departments. It packs a whole lot of power and it’s versatile; you’ve got two lens options. 6 Generation III 1-Watt LED bulbs are housed in 2 aluminum light heads each with your choice of TIR lenses, or Linear Optics if you need a wider light span. It’s easy to change the 26 flash patterns with just a push of a button. 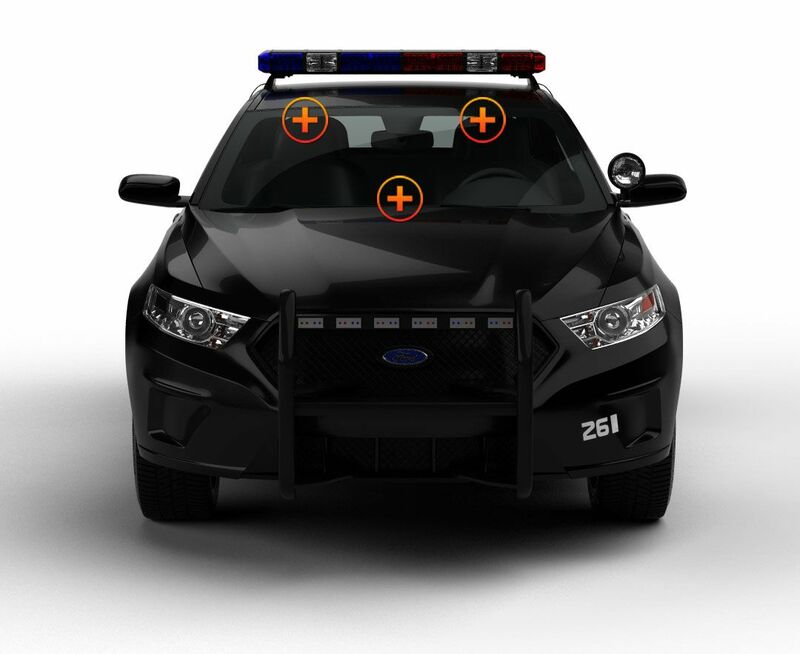 The ON/OFF switch is on the cigarette lighter power plug of the LED Dual making them both practical and economical because the lights can be moved from one patrol car to another. Even construction workers and tow truck drivers prefer this reliable 12-Watt light which is mounted either front or rear with a bracket and 3 suction cups. The polycarbonate lenses are scratch resistant and do a good job penetrating fog. 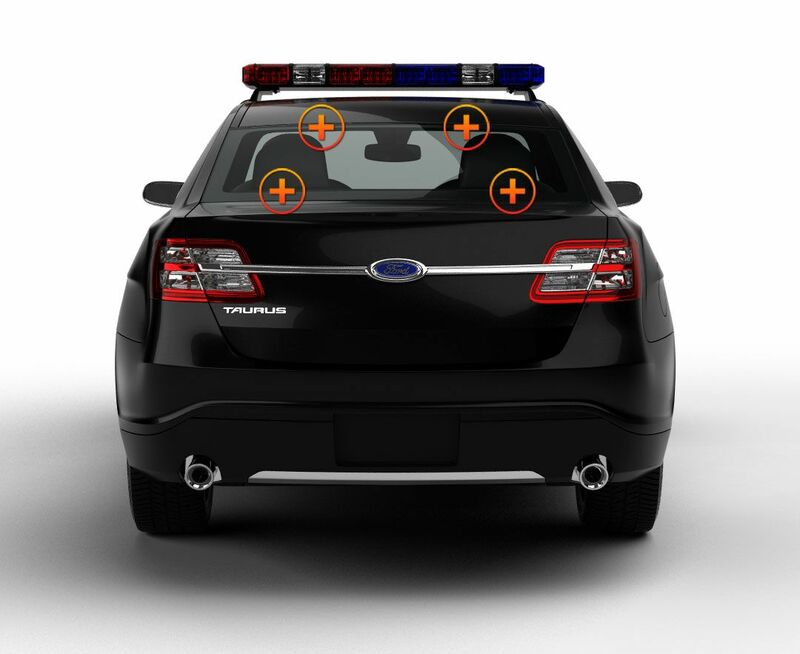 An adjustable removable flashback shield fits most windshields or rear windows. Choose your color combination that best serves your first responder duty from 5 solid colors or 7 split-color combinations; one EMT volunteer who's on the rescue squad of his school chose green on green. My brother and I volunteer for a local volunteer fire department and we live farthest from the station. We hardly ever ride in a unit so our personal vehicles are our unit. We started running into problems responding to calls as know one will get out of the way with just our hazards. We met a volunteer from another department and he recommended we look at the lights ETD sells. We chose this one. It has been great. Even the semis get out of our way. Well they try anyway. It can blind you at night if your using it on the forward dash so I definitely recommend using the forward directional. In all a great buy. This is an awesome dash light. Definitely packs a punch. It really gets the attention of other drivers even in direct sunlight. Highly recommend this light to all First Responders for personal vehicle emergency response lighting. I ordered this light on a Thursday and received it on Saturday. Very fast shipping great customer service. Will definitely be a return customer . Great job ETD thank you. Got this bad boy along with my new ET-7 because I couldn't pass up the price. Outstanding light for the price, I managed to catch the sale! Even in direct light I can still see it with no problem. Continuing my love affair with ETD products! I won these lights in one of the many contests that extreme offers & I must say that I'm very impressed! These are much brighter than the bumper mounted lights I bought & are just as bright as the undercover I have also bought. Highly recommend these to anyone.day or night you will be seen! For anyone interested in buying I engaged in a lot of such products And I very highly recommend this product His light with strong intensity And I really enjoy the deal. This sucker ticks all the boxes. Nice light output, compact size, large range of flash patterns, ideal brightness, well priced. I tested the light thru limo tint during an overcast day. It wasn't bright but could be seen. Get the LED Dual with Prority 1 Optics if you want more punch. I will be definately be getting more of these. Thanks again for another great product ETD! have had this light for 3 years and still as bright as the day I took it out of the box!! I will be buying another light for my other POV's in the near future!!! It is very hard to properly describe how happy i am with this product. I took it out of the box, plugged it in and it blew away all my previous thoughts of LED's. I will not be going to any other company but here. Great light, really bright. I couldnt go wrong. Its a good buy. Great Product. Works right out of the box. Super bright, and great price. Will buy again. Much better than I ever expected! Well made, worked perfectly right out of the box, and once mounted, I have never had a problem with it falling off. Will definitely buy again! 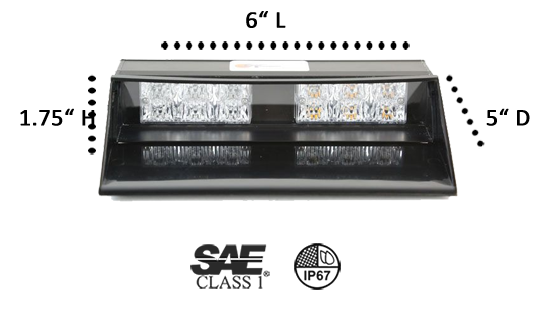 Fit great on my chevy tahoe for off duty work and what not,the lights are amazing and im happy with my purchase i definitely recommend these lights for anyone who\'s looking for dash led lights! great product ETD! Excellent Product, I got one for my SUV and its perfect. Extremely bright with absolutley no problems. Very Bright, Even In The Sunlight, Housing Is Made Well, Not A Cheap Feeling Product, But An Excellent Price! This light is great! Very brite. Even during the day time. Very good price too. This light is cheap but not cheap built. It is super bright, has many flash patterns, and it uses very little power. I love this light and would highly recommend this light to others. It also got here very quickly. It was ordered on Friday and delivered on Monday! Great Service! Great DAYTIME light as well as night! It can be seen in direct sunlight! Great value, perfect light! Low power usage, and bright light, cigarette lighter power is great when you use this in more than one car! I purchased one of these units about 2 months ago, and absolutely love it. It has alot of flash patterns and is able to be mounted almost anywhere, front or back. Not the brightest light during the day, but combined with the headlight flasher and pair of Undercover 6 2.0's I also purchased from ETD it provides plenty of light. Very noticeable at night! Would highly recommend to someone looking for an affordable light or to someone on a tight budget. I bought the LED Dual about a year ago and still runs just as bright as the day I got it out of the box! I am a volunteer EMT for my school's rescue squad and I have green/green and as all of us professionals know how every second counts to get to the scene as soon as possible, lives depend on it. The lights moves traffic way too easy. Obviosuly at night is when your the most visible, but I feel just as visible during the day time. I am seen at least 1/2(day) to 1(night) mile away on a straight way. 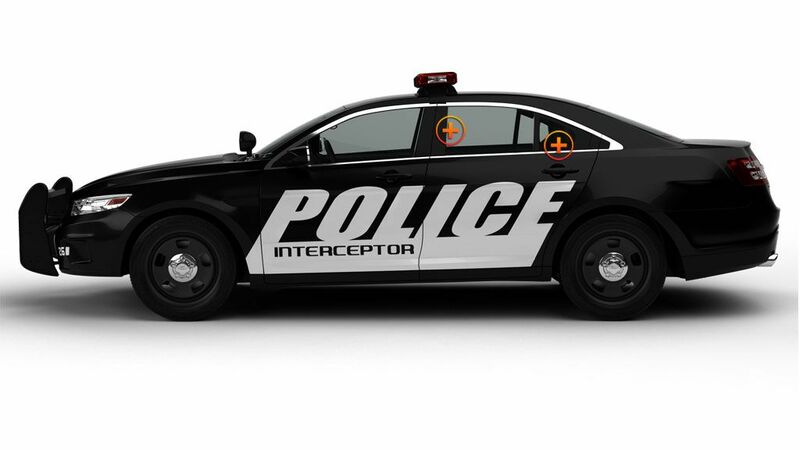 The pre-programmed flash patterns is another great advantage, because that is what people notice first before making a connection to the color you are displaying, yet not many people understand the concept of green flashing lights to immediatly move aside because by law we can't drive on the wrong side of the road or run red lights unlike fire and police. So if you see green flashing lights, please move over and let us through so we can get to the scene as soon as possible and this light has been the greatest benefit. I recommend this product to anyone especially emt's and firefighters on a tight budget. It is the best buy you can ever invest in! These lights are very bright. I have 3 sets of these. Can be seen in daylight as well as night. People will get out of the way when they see you coming. Great light, just as bright as the Whelen for much less. This light smokes the competition and when you add in the price, the others may as well pack it up and go out of business. Great mount, great flash patterns, great light output.. enough can't be said about this light. Moves traffic day or night.. fantastic. Great light for the price. People pull over right away when I am coming up on them at night, but during the day, like most of my interior lights, they take a little bit due to visibility. Would recommend for anyone that is on a budget or just wants something really bright to add to their collection. This light is great. Gets people's attention right away. Shipping was a bit slow but that was due to stock availablity and customs which is out of anyone's control. The Customer Service Staff was very friendly and courteous with my questions. Would definaly buy more if needed. Very bright light. Extremely fast shipping. The package was lacking any instructions but once I figured out the mounting bracket it went pretty smoothly.The bracket did hang the light a little too low on the windshield for my liking so I slid it between the roof line and visor. It is actually more secure and just about right. Great light, great price. This light I would recommend to anyone looking to move traffic! You can't beat the price. I will be buying more lights in the future from this company. I highly recommend these for anyone 10X brighter than most LED lights. I will be purchasing more for sure. this is the best ever made.Moves people so fast you dont even slow down for them. This is amazing!! It moves traffic like you wouldnt belive!! Im going to buy more from here for sure!! quick shipping and great products. I would recommend this product to any who is looking for a quick, easy and bright light to add to there car with out having to spend lots of money. The LED Dual is fits great in the front dash. Traffic will not have any problems seeing you coming with this light on. The cigarette lighter makes it easy to move when you have to get your car worked on and have to use another car. This is the best light i have ever seen.The guys i work with is going to get one.They could not say any thing about my light.It was that good.The price is good to.I just wish i would have look arround befor buying all of my other lights.Every one needs this light. Fast shipping, good product, good price. Installed and it seems great!